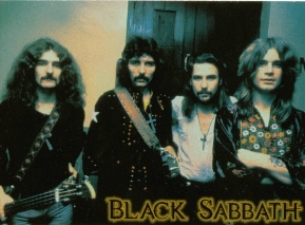 To the shock of nobody, the speculated Black Sabbath reunion is official. 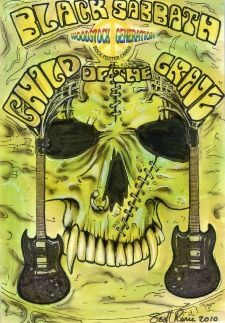 The legendary band has announced a new album and tour for 2012 with original members Ozzy Osbourne, Tony Iommi, Geezer Butler and Bill Ward. They will hit the studio early in 2012 and head out on tour following a June appearance at the Download Festival. The Black Sabbath reunion will be complete when the new album is made available in the fall. Remember when The Osbournes was one of the first reality shows and the concept of following celebrities around was a novelty? The 72-card base set has stills from the show's massive first season. However, this set also has some of the most high-end Black Sabbath cards available. 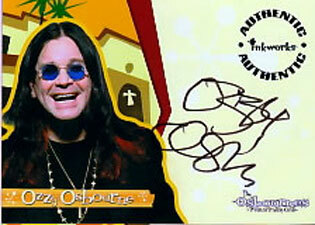 Ozzy Osbourne appears on both the autograph and Pieceworks costume card inserts. All autographs were distributed via redemption, so collectors should not buy boxes for the sole purpose of getting the elusive signature. 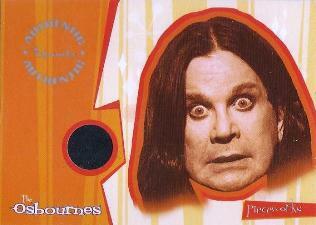 A fun insert in the set is Headbangers (1:7 packs), which highlights the Osbourne family with die-cut cutouts of their heads. Although this set never came to be, Cornerstone did release two promos for the planned release. P1 features Ozzy, while P2 pictures a very young incarnation of the band. As far as Black Sabbath cards go, these are some of the most striking. Focusing on the singer, this set included a base set of 68 cards and a five-card Master of Metal Poster insert set (1:7 packs). 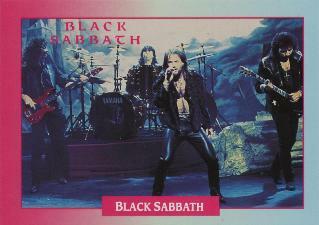 Black Sabbath appeared on a three-card box topper set. A binder (/2000) was made available to hold the cards. Sadly, they missed out on having their logo in with the hologram inserts. 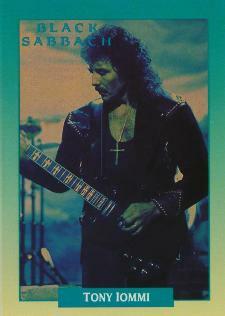 Black Sabbath is mentioned on card 43, "Heavy Metal Hitters," a poster reproduction of a concert at the Angelos Arena. The set also had sketch cards, several of which were similar poster reproductions. In 2008, Upper Deck made music subsets called "Guitar Heroes" and "Rock Heroes" for Upper Deck Heroes Football. 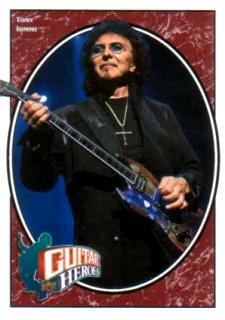 Black Sabbath guitarist Tony Iommi was featured on five cards: 264, 265, 379, 380 and 381. Each card also had a bunch of parallels, including autographs. The secondary market has sucked up most of the signature cards now, making them tough to find. Collectors can also be on the lookout for international releases. Panini also featured the metal legends in several sticker sets. 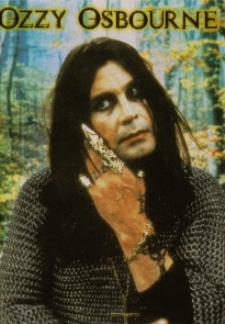 For those wanting to build an ultimate Black Sabbath card collection, Ozzy is spoofed in Garbage Pail Kids All-New Series 2 and Silly CDs. 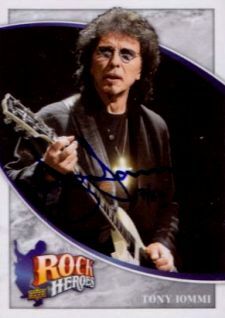 While the single cards are more of a novelty than an investment-type collectible, once the Black Sabbath reunion tour starts and the new album comes out, expect to see a lot of movement on some of the high-end Osbourne and Iommi autograph cards. The real prices will come with the Black Sabbath reunion concert tickets. Black Sabbath Ozzy Large Fold out Family Tree Ideal to Frame?